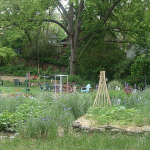 Wylde Center’s mission is to educate, cultivate greenspaces and build community in the areas we serve. We offer educational programs, events and greenspaces that actively engage youth, families and individuals in their environment, health and community, and that develop skills in environmental science, sustainable urban living, organic gardening, health, and nutrition. 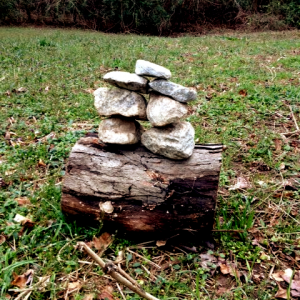 Wylde Center was founded in 1997 out of a need to provide opportunities to experience nature in an urban environment. 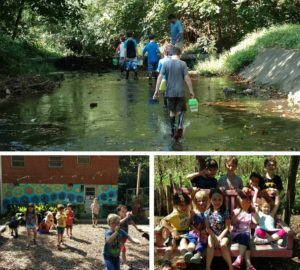 Thanks to the community’s involvement and commitment, we now operate five greenspaces in four different Decatur and Atlanta neighborhoods, open year-round for the community, for events and for our educational programs. 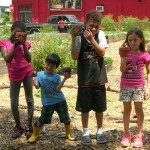 Wylde Center also provides one of the largest youth environmental and science education programs in metro-Atlanta, including the Decatur Farm to School program, Atlanta Farm to School, Healthy Living by Healthy Growing at the Decatur Housing Authority, and science program and field trips linked to Common Core standards. Wylde Center’s annual tour of private gardens in and around Decatur returns bigger and better than ever the first weekend in May! This year’s grand tour of greenery will feature the charm and beauty of more than a dozen gardens, ranging from Reynoldstown to Toco Hills. Tour goers will have the opportunity to wander and explore gardens big and small, including formal landscapes, backyard pocket gardens, native plants, fountains, hardscaping, outdoor entertaining spaces and more! Tickets are on sale now. Learn more and get tickets. Volunteers needed! Volunteers are needed to greet visitors at each of our 2019 Garden Tour stops. All you need to do is mark tickets and give a simple overview of the garden. Plus, all volunteers who work a shift for this garden tour will receive 1 FREE TICKET to the tour. Sign up. 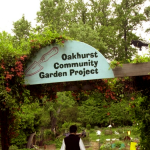 Your child will explore the Oakhurst Garden, a unique urban setting complete with native woods, creek and farm. Each week of camp will have a different theme, so campers signed up for multiple weeks can have a new and exciting experience each time. The theme will guide the instruction, games and crafts. 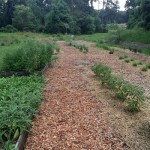 Other activities may include planting, tasting fresh organic fruits and veggies from the garden, creek walks, salamander hunts, caring for resident chickens, pond exploration and short hikes to greenspaces in the Oakhurst neighborhood.